Can somebody please upload an imagefile of a 24MB MMC for the S7-1200 PLC (6ES7954-8LF00-0AA0)? my CPU don't accept the SD kart! I only want to update my S7-1200. I use an 64MB sd kart. Did you restore above mentioned image there? I droped the image with the tool from http://personal.telefonica.terra.es/web/suwe/. Is it the wrong tool? It might be the image is not working...Perhaps the other members might confirm it. 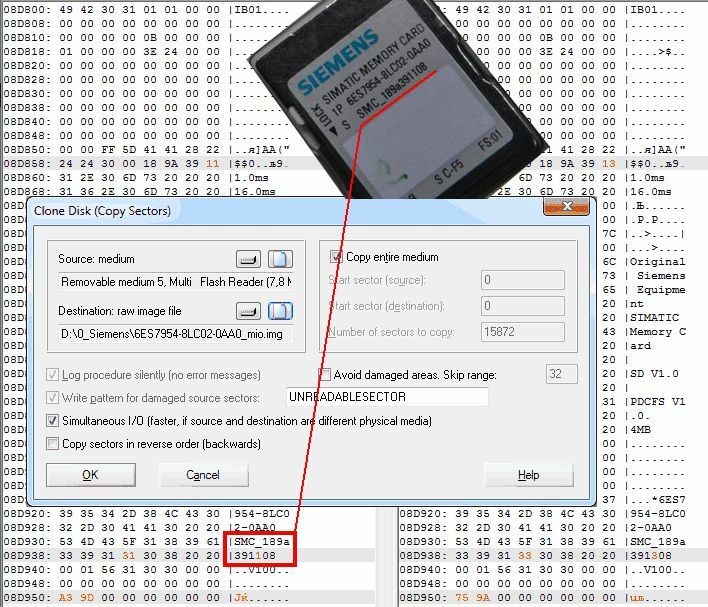 Did anyone have good results to use a standart SD card with the siemens image and the 1200 or 1500 accepted the card? If so what SD card type brand did you use.